The chalet Rosanna has more flexible room arrangements than most St Anton chalets, making it great for parties with odd numbers. The chalet is exactly where you want to be in St Anton, near both the lifts and the town. It’s a big and sociable chalet, good for groups. There is wine by the bottle. 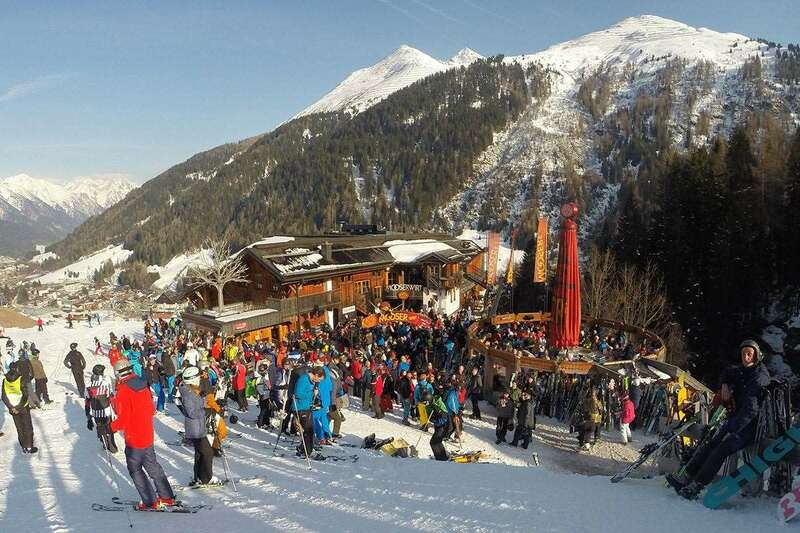 Chalet Rosanna has proven to be a popular addition to our programme due to its excellent central location in St Anton just 3 minutes from the centre. The Rosanna is steeped in history and is furnished in a very attractive traditional Austrian style. The bedrooms are charming with pretty painted bedsteads and wardrobes adding to the character and warmth; all are en suite, either with bath or shower and most have a balcony. The split level living and dining areas have an appealing ambience with a cosy corner fireplace, an inviting spot in which to relax at the end of your ski day. 4 course dinners including aperitif, choice of complimentary quality wines, coffee and chocolates. External secure ski and boot room Lounge with fireplace leading to dining room. Separate kitchen, wc. I have spent a lot of time in this area. I have worked and live in the resort so I know it backwards. The staff (Skitotal) were execellent, they were very friendly and keen to talk to guests. The food was good and on time. My biggest gripe is the state of the chalet in terms of its age. It was very clean thanks to the staff. There is no ski / boot room. This is not a huge problem as the best place is to store your skis/boots with AlberSport which is heated. The chalet is very dated with paper thin walls. Everything worked but it is terribly old and for what we paid was very much over priced. Sad to say but probably the last chalet style holiday I will go on. Just not good enough! Food and service need a lot of improvements. On a positive the building is old but worked for us.